After his daughter rejected the family toy business in pursuit of a theatre career, Nigel FeBland was amused to hear that Gaby would be peddling novelties to her local spy ring for a living. 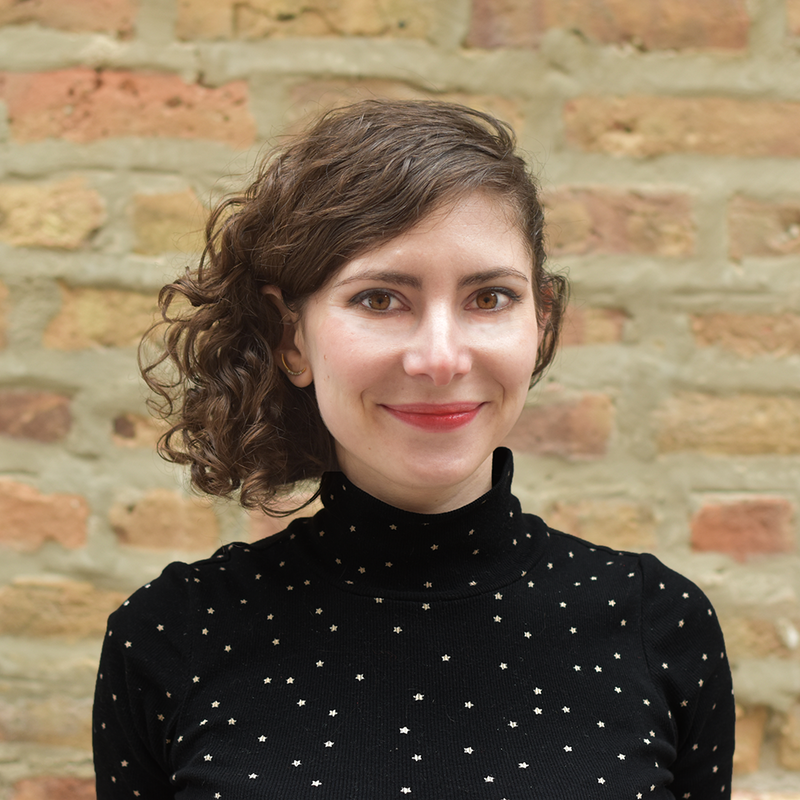 Brooklyn born and bred, Gaby was drawn to Chicago to study theatre and Spanish at Northwestern. After graduating, she wrote a play that was produced Off-Broadway and was the first American production to feature solely actors with dwarfism. She plays accordion in the folk-rock band, “Friends of the Bog” and watercolors Maya Angelou quotes onto greeting cards for Gabuelita Card Co. Gaby is thrilled to be supporting 826 in its mission to empower young voices.